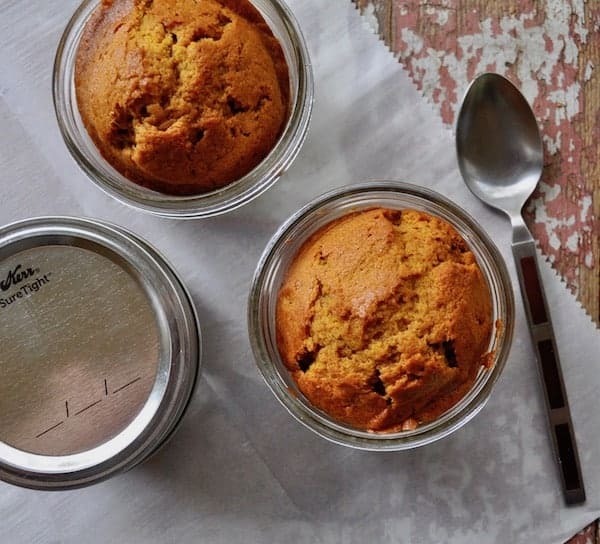 Pumpkin Cake Jars are a fun tasty way to make cake portable and dare I say un-crushable? What’s more fun than cake on a picnic or in your lunch? Ah yes, cake that arrives still resembling cake. And pumpkin is SO seasonally perfect right now, it’s just on the cusp of time to pumpkin ALL THE THINGS. 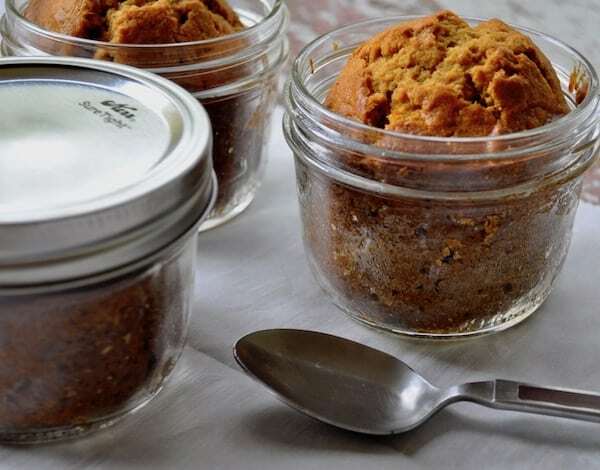 So add Pumpkin Cake Jars to your list of “must make fall foods” and you’ll be enjoying tender pumpkin cake in no time. 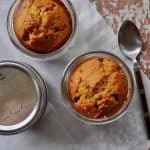 I’ve adapted the recipe for Pumpkin Cake Jars from one of my all-time favorite cookbooks, Riversong Lodge by Kirsten Dixon. (affiliate link) When a cookbook makes it through 3-4 book purges you know it’s a keeper. If you’re EVER in the mood to read and enjoy an Alaskan cookbook this is THE book to buy and read.  The recipes are stellar, the stories intriguing and the glimpse into Alaskan Bush Living is real. Not that weird stuff you see on tv, that’s all fake. This is a recipe I’ve loved for a long time and finally got around to making it this year. I tweaked it a bit and cut the jar size in half because no one around here needs a pint of cake in their lunch box. Well I do, but obviously, I don’t, so I won’t. These are a hit with the adults and kids in our family and are especially well loved because they DO travel so well. I hope you enjoy them as much as we do. Feel free to add nuts or tweak the spices to your liking, or even sprinkle with a bit of powdered sugar if you like! I’ll say that again, These are NOT shelf stable and should be eaten within a few days. To store I cover them with plastic wrap OR a clean lid and ring. I always send them in a lunch box with a lid and ring too, they arrive at their destination in better shape. 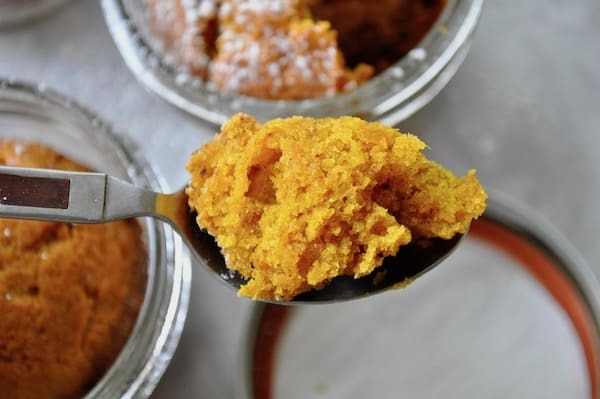 Pumpkin Cake Jars are a fun tasty way to make cake portable and dare I say un-crushable? What's more fun than cake on a picnic or in your lunch? 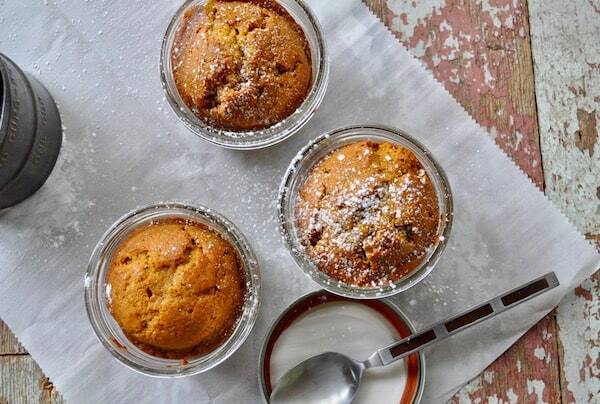 Mmmm….these look so yummy! 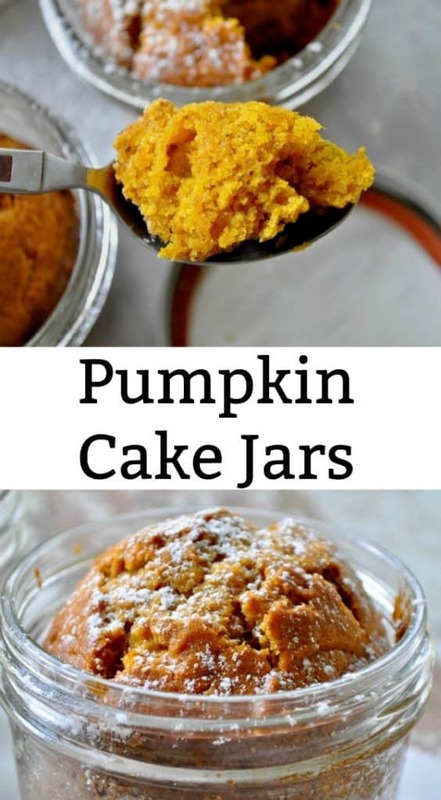 I am loving all things pumpkin right now! PINNED! Do you bake these directly on the oven rack or do you set them on a cookie sheet to bake? Yes place on a baking sheet!